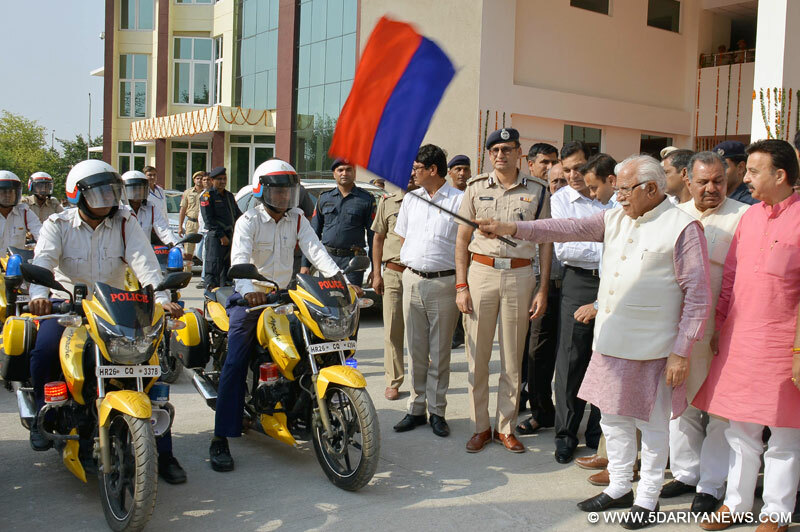 Haryana Chief Minister Manohar Lal Khattar on Sunday announced that police personnel in the state would now be entitled to a weekly off.The Haryana government also plans to strengthen the police force with 7,200 more personnel who would be recruited soon, he said after inaugurating the office building of the Commissioner of Police, Gurgaon, and the Haryana State Cyber Crime Branch.The office building, constructed in 5.5 acres at the cost of Rs.28 crore, has been given a silver rating by the Indian Green Building Council. The chief minister said police personnel who worked round-the-clock on all seven days a week were stressed. Keeping this in view, it was decided to grant them a weekly off.About 12,200 posts of police personnel are lying vacant, which also increased the burden on other employees.To reduce the workload, the state government will recruit 7,200 personnel this year and also appoint ex-servicemen below the age of 50 years as special police officers on ad hoc basis at a remuneration of Rs.14,000 per month, he said.